Edyta Gorniakl is a Polish pop singer born on November 14, 1972. She is considered as one of the most popular Polish female pop singers. Mandaryna is the stage name of Marta Katarzyna Wiktoria Wiśniewska, a Polish dance singer and actress. Mandaryna was born on March 12, 1978 and has been active in the music scene since 2003. 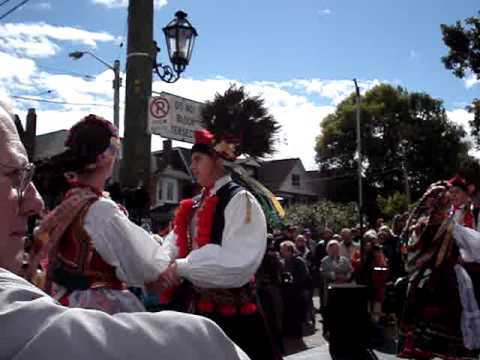 Stella Polonia is a folk and dance Polish music group. Stella Polonia was formed in 2004 by Fr. Miroslaw Frankowski with Ewa and Tadeusz Wierzbicki. Izabela Trojanowska is a Polish singer and actress born on April 22, 1955. She is also widely remembered as being part of the Polish band Budka Sulfera. You are currently browsing the Polish Music weblog archives for August, 2009.